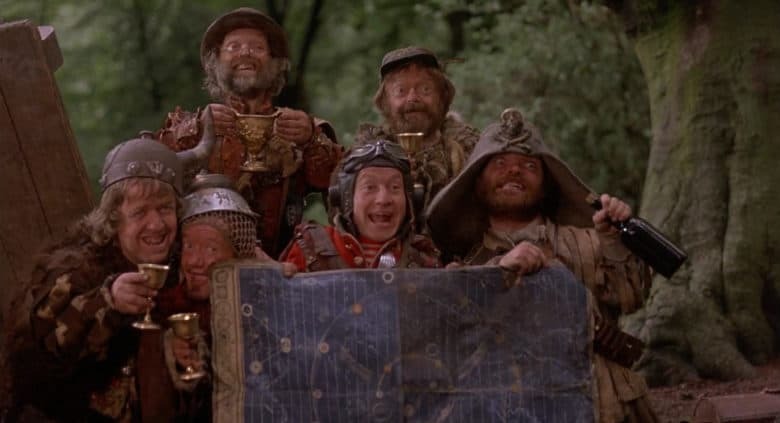 Written and directed by Terry Gilliam, Time Bandits the movie followed a young boy who accidentally joins a band of time-traveling dwarves that jump from era to era looking for treasure to steal. They travel to the Napoleonic times, Middle Ages, the early 1900s, the time of Legends and the Fortress of Ultimate Darkness where they confront Evil. Gilliam told Business Insider that there have been offers in the past to turn Time Bandits into a three-part franchise. One of the stipulations though was that the major studio didn’t want dwarfs in it, so Gilliam said no. Apple’s TV show will have dwarves, but Gilliam still sounds uneasy about the project. Gilliam said he found out about Taika’s hiring through the web. No one told him. The legendary director says he doesn’t want to hustle for financing anymore though so the fact that Apple wants to make the show and it has the money to do so is nice. “I haven’t signed my contract yet. But I seem to be important to them. Once I get the contract signed I will engage more,” said Gilliam. It’s unclear when Time Bandits will go into production. It certainly won’t be ready in time for the launch of Apple TV+ but Apple has no shortage of shows lined up for the future, so this is a project that can take a little bit of time to develop.